quarrygirl.com » Blog Archive » green menu dining card gets discounts at vegan-friendly restaurants! green menu dining card gets discounts at vegan-friendly restaurants! well this sure is great news for vegans in southern california (like me!) who dine out often. the new green menu dining card offers automatic savings to members at vegan-friendly restaurants all over town. 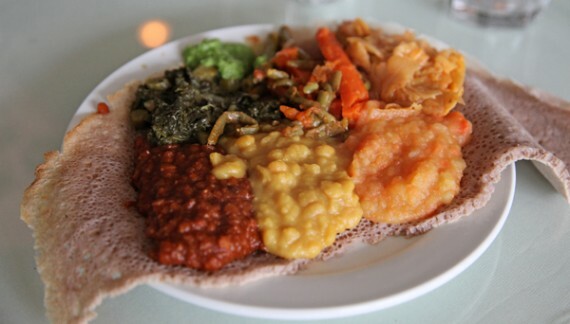 10% off food at rahel ethiopian? yes, please! the list of 132 participating california restaurants features some of our favorite haunts, including cruzer pizza, cinnamon, doomie’s, rahel, samosa house, streets of india, vinh loi tofu, and many MANY more! seriously, browse the list. it’s pretty awesome. i even found some new vegan-friendly spots that i hadn’t heard of, and now i can’t wait to try. there are also some participating restaurants in NY, maryland, and virginia…but CA is where the bulk of the discounts are. the concept of the card is simple: you buy a membership for $25, and then enjoy 12 months of discounts at participating restaurants. the most standard discount across the board is 10% off your bill, but some businesses offer even bigger savings, or fun stuff like a free dessert. i think the whole thing sounds like a damn good value. Green Menu is a 501 (C)(3) non-profit organization that promotes vegetarianism. We are a group of vegetarians who are very passionate about vegetarianism and hope to provide a convenient way for all vegan, vegetarian and non-veggies when they want to dine-out and eat Green. Everyone can join Green Menu membership by paying the annual due of $25 and get one discount card. All proceeds are to be used in promoting Green living and educational programs in vegetarianism by Green Menu. count me in! 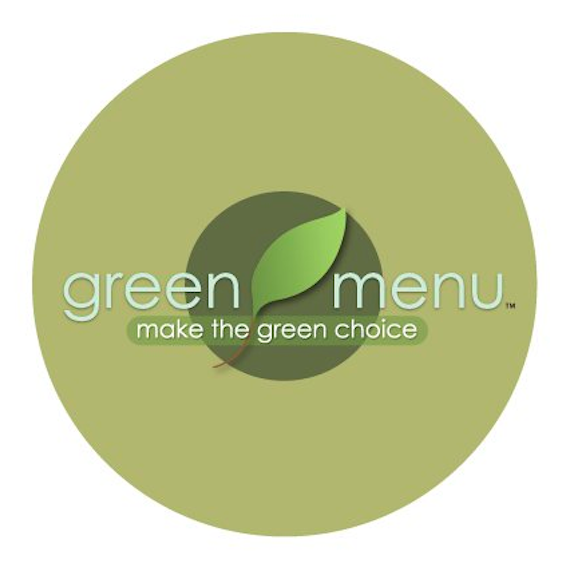 to sign up for green menu, hit up their membership page. a few trips to doomie’s, cruzer, and vinh loi, and this little baby will be more than paid for. PS: if you are a restaurant owner, sign your business up for the discount program! thrifty vegans will thank you. Wow! That will pay for itself in no time! Oh cool! I am broke enough to appreciate these things. I know I’m probably being nitpicky but I saw this program a few months ago when they posted on the Los Angeles Vegan Events facebook page. I clicked around their website to check out theirs offerings of “vegan” restaurants and found some significant discrepancies. I emailed them about the lack of quality control or verification program, and pointed out a few mistakes on their website. I never received a response from them but saw that they fixed the errors I noticed. If you look over their “vegan” restaurants list you will see questionable entries such as Tom’s Burgers, (http://www.yelp.com/biz/toms-burgers-los-angeles-3) This restaurant is listed as a vegan restaurant on the Green Menu website but Tom’s Burgers’ yelp page is loaded with reviews about meaty meals and there are no comments about vegan options. Tom’s Burgers does not have a menu Green menus does not include an audit system to verify that restaurants trying to participate in this program are actually vegan, vegetarian or veggie-friendly; any restaurant can label themselves as vegan even if they have only a few, if any vegan, options. I can just imagine someone trying to visit a new local vegan restaurant that does not have a yelp page or a website with an online menu only to be disappointed on arrival that their options are limited. It is misleading especially for green menu customers who are paying for a membership card and expect to visit restaurants that are specifically vegan and not just have one vegan item in a kitchen full of vegan-unfriendly foods. I think that the intentions of this program are great but they need help with quality control and until they can do that I personally can’t justify paying for a membership. If they are counting on random restaurateurs to do their verification for them, it would be useful to advertise that policy on their website so more people can help clean up the list. Or it might help to clarify for both paying members and restaurant applicants what each category of vegan, vegetarian or veggie-friendly means. At the moment there is no guarantee that any of those unfamiliar restaurants are actually what they say they are and the lack of definitions for these categories are potentially disastrous considering how many controversies of misleading restaurant owners were uncovered on this site. Based on my understanding, Green Menu is a bunch of hearted vegetarians who try to promote plant-based foods and provide the convenience for anyone who wants to eat Green and live a healthy lifestyle. There was some internal error when one of their teammates took the restaurant’s word in categorizing a vegetarian restaurant to vegan because the ice cream product they sell was not taken into account. The error was corrected right after they found out. What they do is really great; especially they promote all Green restaurants and help both consumers and Green restaurants to connect. The consumers’ demands will definitely influence what the restaurants provide in terms of healthy cooking foods. The plant-based diets are the future for all of us and our mother earth. Let’s be part of this wonderful Green Movement and enjoy the benefits of Green Menu Discount Card has to offer.